Lung biofabrication is a new tissue engineering and regenerative development aimed at providing organs for potential use in transplantation. Lung biofabrication is based on seeding cells into an acellular organ scaffold and on culturing them in an especial purpose bioreactor. The acellular lung scaffold is obtained by decellularizing a non-transplantable donor lung by means of conventional procedures based on application of physical, enzymatic and detergent agents. To avoid immune recipient's rejection of the transplanted bioengineered lung, autologous bone marrow/adipose tissue-derived mesenchymal stem cells, lung progenitor cells or induced pluripotent stem cells are used for biofabricating the bioengineered lung. The bioreactor applies circulatory perfusion and mechanical ventilation with physiological parameters to the lung during biofabrication. These physical stimuli to the organ are translated into the stem cell local microenvironment – e.g. shear stress and cyclic stretch – so that cells sense the physiological conditions in normally functioning mature lungs. After seminal proof of concept in a rodent model was published in 2010, the hypothesis that lungs can be biofabricated is accepted and intense research efforts are being devoted to the topic. The current experimental evidence obtained so far in animal tests and in ex vivo human bioengineered lungs suggests that the date of first clinical tests, although not immediate, is coming. Lung bioengineering is a disrupting concept that poses a challenge for improving our basic science knowledge and is also an opportunity for facilitating lung transplantation in future clinical translation. La biofabricación de pulmones es un nuevo desarrollo en ingeniería de tejidos y medicina regenerativa destinada a proporcionar órganos que se podrían usar para trasplante. Se basa en la siembra de células en un andamio acelular del órgano y su cultivo en un biorreactor específico. El andamio acelular se obtiene descelularizando un pulmón no trasplantable por medio de procedimientos convencionales basados en agentes físicos, enzimáticos y detergentes. Para evitar el rechazo inmunitario del receptor del pulmón una vez trasplantado, en la biofabricación se usan células madre autólogas mesenquimales derivadas de médula ósea/tejido adiposo, células progenitoras de pulmón o células madre pluripotentes inducidas. El biorreactor aplica perfusión circulatoria y ventilación mecánica con parámetros fisiológicos al pulmón durante el proceso. Estos estímulos físicos al órgano se traducen en el microambiente local de la célula madre —por ejemplo, tensión de cizallamiento y estiramiento cíclico— para que las células perciban las condiciones fisiológicas típicas en el pulmón maduro con funcionamiento normal. Tras la publicación en 2010 de la prueba de concepto en un modelo de roedor, se ha aceptado la hipótesis de que los pulmones pueden ser biofabricados y se están dedicando grandes esfuerzos de investigación a este tema. Las pruebas experimentales obtenidas hasta ahora en ensayos con animales y ex vivo en pulmones humanos biofabricados indican que la fecha de las primeras pruebas clínicas, aunque no inmediata, se va acercando. La bioingeniería pulmonar es un concepto disruptivo que nos desafía a mejorar nuestros conocimientos científicos básicos y da una oportunidad para facilitar el trasplante de pulmón en una futura traslación clínica. It goes without saying that there is a considerable need of lungs for transplantation, as indicated by the progressively increasing waiting lists of patients for lung transplant worldwide. One of the causes limiting the availability of suitable lungs is that a high number of donor lungs are not acceptable according to current quality control criteria. 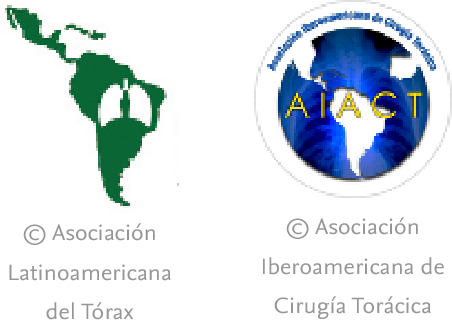 To solve this problem, research efforts are currently devoted to improve organ preservation procedures and donor management to rescue lungs that otherwise would be not suitable for transplantation.1,2 These investigations are expected to result in increasing the number of lungs for transplantation. This review is focused on a novel alternative procedure for obtaining organs for transplantation: lung biofabrication. This approach, which is still in its first experimental steps, has raised considerable expectancy and research efforts in recent years. Lung biofabrication is based on building a new lung by seeding an acellular organ scaffold with progenitor cells from the patient that would be the recipient of the regenerated organ. Such an “autologous” lung would avoid the difficulty of conventional allogeneic transplanted lungs to deal with immune rejection from the recipient, which is the main cause why lung transplantation has a success rate (∼50% survival after 5–6 years) lower than in other organ transplant.3 The following text is aimed at presenting the principles and methods of lung biofabrication, the current state of the art of the topic and its potential for future clinical translation. A new possible way to increase the availability of organs for transplantation is currently facilitated by recent progress in stem cell biology and in tissue engineering and regenerative medicine. Indeed, the hypothesis that tissues and organs can be biofabricated is currently accepted and, after proofs of concept have been published in the last years, intense research worldwide is focused on the topic. Although the terms “bioengineered” or “biofabrication” suggest that organs are built artificially, it should be mentioned that the current approach is mainly based on using natural components such as cells and extracellular matrix (ECM) scaffolds. In fact, the rationale is to replicate the natural process of organ development. Namely, an organ is built by precisely placing newly divided cells into a 3D structure where cells differentiate in an environment providing the chemical (e.g. nutrients, growth factors, cytokines, chemokines) and physical (e.g. temperature, oxygen pressure, stiffness) cues required by the cells. Hence, organ/tissue biofabrication is based on the suitable combination of three core elements: cells, scaffolds and bioreactors, as illustrated by Fig. 1. Briefly, a donor lung which is not acceptable for transplantation is decellularized to eliminate the entire cell components from the lung. The resulting acellular lung scaffold, which maintains the 3D structural complexity of the native organ, is recellularized with new cells. The process of new organ biofabrication is carried out placing the recellularized scaffold into a bioreactor aimed at providing physico-chemical stimuli for optimal cell homing, proliferation and differentiation (Fig. 1). General process of lung bioengineering. A donor lung is decellularized and the organ scaffold is seeded with cells and placed into a bioreactor for lung biofabrication. See text for detailed explanation. Source: Reproduced from Ref. 32, with permission of the copyright owner of The Lancet. The optimal cell types for organ biofabrication are still an open question. An obvious option could be to employ differentiated cells corresponding to the organ, for instance bronchial and alveolar epithelial cells for lung biofabrication. Although the simplest approach from a biological perspective, this option would not be feasible in routine applications since, as these differentiated cells virtually do not proliferate, a great number of donor organs would be required to biofabricate one single de novo organ. Taking into account the high proliferative and differentiation capacities of stem/progenitor cells, using these cells for repopulating acellular scaffolds is the preferred current approach. The ideal option is to use autologous stem/progenitor cells to avoid immunoreaction of the bioengineered organ by the receptor. Adult stem cells, such as bone marrow- or adipose tissue-derived mesenchymal stem cells (MSCs) have the advantage of being easily obtained but suffer from the drawback that MSCs are not totipotent and thus cannot differentiate into all the cell phenotypes in a given organ (up to 60 in the lung).4 The most promising option is to bioengineer organs with induced pluripotent stem cells (iPSCs). These cells, obtained by reprogramming adult cells into an embryonic-like stage, have full differentiation capacity and, if the donor and recipient are the same patient, iPSCs are not immunogenic. However, these cells are relatively new, with their long term fate unknown, and hence some open questions about potential clinical use are still open. In the specific case of lung biofabrication, almost all types of stem cells have been employed to advance our understanding of the mechanisms involved. In rodent lung biofabrication, seminal studies employed both adult differentiated epithelial/endothelial cells and embryonic stem cells. In more recent experimental works using human lung scaffolds, both bone marrow- and adipose tissue-derived MSCs, and human iPSC-derived pulmonary progenitor cells have been used. In case of bioengineering tissues that are relatively simple from a structural viewpoint (e.g. bone repair, skin, heart valves, vessels) the scaffold can consist on artificial 3D substrates made by natural (e.g. collagen, chitosan) or artificial polymers (e.g. polyglycolic acid (PGA), polylactic acid (PLA)) using different techniques (e.g. solvent casting, fiber bonding, electrospinning).5,6 Other current techniques to build 3D constructs composed of ECM and cells (e.g. using cell sheets7 or bioprinters)8 can be used for bioengineering structurally simple tissues/organs. Nevertheless, none of the currently available techniques, including the most advanced 3D printers, can provide the resolution required to mimic the structural details of a complex organ such as heart, lung, liver or kidney. For instance, the adult lung is composed of ∼300 millions of alveoli, each with a diameter of ∼300μm. This airway tree is paralleled with a similarly complex circulatory tree since each alveolus is accompanied by blood capillaries with a typical diameter of ∼8μm. The alveolar-capillary membrane separating air and blood is extremely thin (∼3μm), presenting an effective gas exchange surface of 70m2. And all this structure is packed in a total volume of ∼3L. Given that so far there is no way to artificially fabricate such a micron-scale resolution scaffold, the current procedure for bioengineering complex organs such as the lung is to use the natural scaffold of a decellularized natural organ. (a) Rat lung before (left) and after (right) decellulatization. (b) Decellularized rat lung a short time after starting perfusion with blue dye through the pulmonary artery. The perfusate has almost distributed along the lung, and is getting the microvessels at the basal area. (c) Tracheal pressure in a decellularized rat lung subjected to mechanical ventilation. The image shows a data section showing one ventilation cycle followed by a post-inspiratory pause. See text for explanations. Figures from results of the authors’ lab. Acellular scaffolds, only composed by ECM components and freed from donor DNA, would have no major immunogenic potential for the receptor. However, whether molecular components remaining in the acellular scaffold after decellularization may elicit positive or negative immune response in the host is currently a subject of research.16 Importantly, in addition to providing an almost perfect physical 3D structure to rebuild the lung, the acellular scaffold also provides the cells with optimal physico-chemical cues. For instance, in the case of lung biofabrication cells seeded on the bronchi, alveoli or endothelial walls will sense the corresponding native composition and mechanical properties which are expected to be optimal for cell differentiation into the specific bronchial, epithelial or endothelial phenotypes, respectively. In the particular case of lung bioreactors the organ should be subjected to controlled perfusion, ventilation and gas exchange. In fact, the bioreactor should be similar to the classical setting for ex vivo lung experiments or to the devices for preserving lungs for transplantation. Perfusion of media though the pulmonary artery can be constant or pulsatile. In the first case the cells lining the vessel wall are subjected to constant shear stress whereas in the second case, closer to the physiological situation, shear stress is pulsatile and cells also experience cyclic stretch. Ventilation can be provided by positive pressure at the airway opening or by negative pressure around the pleura, in both cases with a level of positive end-expiratory pressure ensuring a physiological lung volume. Adjusting the tidal volume and ventilation frequency modulates the cyclic stretch experienced by cells in the airway and alveoli. The partial pressures of O2 and CO2 in the air and in the media within the bioreactor should be controlled. However, determining which are the best modes of perfusion (constant vs pulsatile, pressure vs flow control) and ventilation (positive vs negative pressure) for optimizing lung biofabrication is still an open question. Orthotopic transplantation of a bioengineered rodent lung. (a) Photograph showing the implanted regenerated left lung. Recipient left pulmonary artery (A), left main bronchus (B) and left pulmonary vein (V) are connected to regenerated left lung pulmonary artery (a), bronchus (b) and pulmonary vein (v). White arrowheads, the recipient's right lung (infracardiac and right lower lobe); back arrowheads, the regenerated left lung construct. (b) Radiograph: white arrowheads, recipient's right lung; black arrowheads, regenerated left lung construct. (c) Blood gas analyses showing decrease in arterial oxygen tension (PaO2) after left pneumonectomy and partial recovery after orthotopic transplantation of a regenerated left lung construct. Baseline, single lung, 10min and 30min measurements were obtained with the rat intubated and ventilated at volume control ventilation; 6h measurements were obtained with the rat extubated and breathing room air without support of a ventilator. Upper P values compare single lung ventilation to 5min, and 30min time points after transplantation. Lower P values compare pneumonectomy to transplantation at 5min, 30min and 6h time points after operation. Data are mean and SD. Source: Reproduced from Ref. 27, with permission of the copyright owner of Nature Medicine. Examples of bioartificial rat lung explants after transplantation. (a) Isolated heart and lung en bloc resection of a bioartificial lung transplant recipient, ventilated through trachea, on inflation (left) and deflation (right) 24h after transplantation. Black arrow marks the transplanted bioartificial left lung. (b) Isolated heart and lung en bloc resection 14 days after transplantation, inflated (left), and deflated (right), black arrowhead marking the transplanted bioartificial left lung. Source: Reproduced from Ref. 28, with permission of the copyright owner of Annals of Thoracic Surgery. Also in 2010, Cortiella et al.29 published a relevant paper pointing out that stem cells, instead of adult differentiated cells, could be used for lung biofabrication. They seeded murine embryonic stem cells into acellular lung scaffolds and observed that, during their differentiation, these cells produced de novo extracellular matrix components. These authors also detected a tendency to site-specific stem cell differentiation. Indeed, cells homing on the acellular trachea and bronchi walls expressed epithelial cell markers and some of them exhibited cilia. Moreover, formation of very simple capillary-like networks suggested differentiation into endothelial phenotype. This work highlighted the concept that acellular lung scaffolds maintain signaling cues able to direct the fate of stem cells to lung phenotypes. Positive results have been recently obtained when using iPSCs for lung biofabrication. These cells can be optimally differentiated into type I epithelial cells.45 When iPSC-derived alveolar epithelial type II cells were used, diffuse repopulation of alveolar lung structures and epithelial lung cell markers were observed.46 Moreover, Gilpin et al.47 used human iPSCs-derived endothelial cells and iPSCs-derived epithelial progenitor cells seeded via pulmonary artery and trachea, respectively, and found mature lung phenotypes identified by expression of different specific markers. Furthermore, Ren et al.48 obtained interesting results when addressing the issue of vascular endothelization. By seeding decellularized lungs with human endothelial and perivascular cells derived from iPSCs they found that the vascular resistance and barrier function of the new endothelium was optimized in vitro, and 3 days after transplantation of the lung graft in rats the vessels remained patent. Lung biofabrication is both a challenge to find a scientific solution and an opportunity for clinical application. Although this multidisciplinary approach is still in its infancy, the preclinical studies published so far strongly support the notion that lungs can be biofabricated. However, considerable experimental work – particularly concerning cell selection and differentiation – is still pending until first trials in humans could be proposed. From a scientific viewpoint, it is interesting to note that much of the knowledge achieved in the research for lung biofabrication – namely, how progenitor cells interact with the ECM environment and differentiate into lung phenotypes – is also of great interest to better understand the process of lung repair in acute lung injury and acute distress syndrome and thus to discover therapies for these severe respiratory diseases. From a clinical translational viewpoint, it is likely that future trials on lung biofabrication will be carried out in a way slightly different from the one in experimental studies so far. Indeed, instead trying to directly replace whole lungs, it will be possible to start testing transplantation of one single bioengineered lung lobe. First tests could also be performed not directly transplanting the bioengineered construct but using it extracorporeally as a transient therapy, similarly as conventional extracorporeal membrane oxygenation. Importantly, the field of lung biofabrication should learn from previous disruptive methodologies in medicine that generated some deception after excessive initial expectations. A wise balance between skepticism and enthusiasm will certainly result in a progressive and solid advance in the goal of helping to increase the availability of lungs for transplantation. This work was supported in part by the Spanish Ministry of Economy and Competitiveness (Instituto de Salud Carlos III; FIS-PI14/00004, FIS-PI14/00280). This work was partially funded by the CERCA Program of Generalitat de Catalunya. A.F. Popov, A. Sabashnikov, N.P. Patil, M. Zeriouh, P.N. Mohite, B. Zych, et al. Ex vivo lung perfusion – state of the art in lung donor pool expansion. B. Schmack, A. Weymann, P. Mohite, D. Garcia Saez, B. Zych, A. Sabashnikov, et al. Contemporary review of the organ care system in lung transplantation: potential advantages of a portable ex-vivo lung perfusion system. M. Cypel, B. Levvey, D. Van Raemdonck, M. Erasmus, J. Dark, R. Love, et al. International Society for Heart and Lung Transplantation Donation After Circulatory Death Registry Report. T.J. Franks, T.V. Colby, W.D. Travis, R.M. Tuder, H.Y. Reynolds, A.R. Brody, et al. E. Carletti, A. Motta, C. Migliaresi. Scaffolds for tissue engineering and 3D cell culture. Biomaterials & scaffolds for tissue engineering. Recent development of temperature-responsive surfaces and their application for cell sheet engineering. Three-dimensional bioprinting: toward the era of manufacturing human organs as spare parts for healthcare and medicine. S.F. Badylak, D. Taylor, K. Uygun. T.J. Keane, I.T. Swinehart, S.F. Badylak. Methods of tissue decellularization used for preparation of biologic scaffolds and in vivo relevance. R.K. Palma, N. Campillo, J.J. Uriarte, L.F.V. Oliveira, D. Navajas, R. Farré. Pressure- and flow-controlled media perfusion differently modify vascular mechanics in lung decellularization. R.K. Palma, P.N. Nonaka, N. Campillo, J.J. Uriarte, J.J. Urbano, D. Navajas, et al. Behavior of vascular resistance undergoing various pressure insufflation and perfusion on decellularized lungs. P.N. Nonaka, J.J. Uriarte, N. Campillo, E. Melo, D. Navajas, R. Farré, et al. Mechanical properties of mouse lungs along organ decellularization by sodium dodecyl sulfate. P.N. Nonaka, C. Campillo, J.J. Uriarte, E. Garreta, E. Melo, L.V.F. de-Oliveira, et al. Effects of freezing/thawing on the mechanical properties of decellularized lungs. J.J. Uriarte, P.N. Nonaka, N. Campillo, R.K. da Palma, E. Melo, L.V. Oliveira, et al. Mechanical properties of acellular mouse lungs after sterilization by gamma irradiation. J.L. Dziki, L. Huleihel, M.E. Scarritt, S.F. Badylak. Extracellular matrix bioscaffolds as immunomodulatory biomaterials. G. Thrivikraman, G. Madras, B. Basu. Intermittent electrical stimuli for guidance of human mesenchymal stem cell lineage commitment towards neural-like cells on electroconductive substrates. A. Ito, Y. Yamamoto, M. Sato, K. Ikeda, M. Yamamoto, H. Fujita, et al. Induction of functional tissue-engineered skeletal muscle constructs by defined electrical stimulation. C. Ribeiro, J. Pärssinen, V. Sencadas, V. Correia, S. Miettinen, V.P. Hytönen, et al. Dynamic piezoelectric stimulation enhances osteogenic differentiation of human adipose stem cells. Y. Zhang, S. Chen, M. Pei. Biomechanical signals guiding stem cell cartilage engineering: from molecular adaption to tissue functionality. T. Guo, L. Yu, C.G. Lim, A.S. Goodley, X. Xiao, J.K. Placone, et al. Effect of dynamic culture and periodic compression on human mesenchymal stem cell proliferation and chondrogenesis. A.J. Engler, S. Sen, H.L. Sweeney, D.E. Discher. E. Garreta, E. Melo, D. Navajas, R. Farré. Low oxygen tension enhances the generation of lung progenitor cells from mouse embryonic and induced pluripotent stem cells. K.A. Schilders, E. Eenjes, S. van Riet, A.A. Poot, D. Stamatialis, R. Truckenmüller, et al. Regeneration of the lung: lung stem cells and the development of lung mimicking devices. P.N. Nonaka, J.J. Uriarte, N. Campillo, V.R. Oliveira, D. Navajas, R. Farré. Lung bioengineering: physical stimuli and stem/progenitor cell biology interplay towards biofabricating a functional organ. T.H. Petersen, E.A. Calle, L. Zhao, E.J. Lee, L. Gui, M.B. Raredon, et al. H.C. Ott, B. Clippinger, C. Conrad, C. Schuetz, I. Pomerantseva, L. Ikonomou, et al. Regeneration and orthotopic transplantation of a bioartificial lung. J.J. Song, S.S. Kim, Z. Liu, J.C. Madsen, D.J. Mathisen, J.P. Vacanti, et al. J. Cortiella, J. Niles, A. Cantu, A. Brettler, A. Pham, G. Vargas, et al. Influence of acellular natural lung matrix on murine embryonic stem. Cell differentiation and tissue formation. A. Soto-Gutierrez, J.A. Wertheim, H.C. Ott, T.W. Gilbert. Perspectives on whole-organ assembly: moving toward transplantation on demand. S.F. Badylak, D.J. Weiss, A. Caplan, P. Macchiarini. Engineered whole organs and complex tissues. T. Luque, E. Melo, E. Garreta, J. Cortiella, J. Nichols, R. Farré, et al. Local micromechanical properties of decellularized lung scaffolds measured with atomic force microscopy. E. Melo, E. Garreta, T. Luque, J. Cortiella, J. Nichols, D. Navajas, et al. Effects of the decellularization method on the local stiffness of acellular lungs. T. Tsuchiya, J.L. Balestrini, J. Mendez, E.A. Calle, L. Zhao, L.E. Niklason. Influence of pH on extracellular matrix preservation during lung decellularization. D. Sokocevic, N.R. Bonenfant, D.E. Wagner, Z.D. Borg, M.J. Lathrop, Y.W. Lam, et al. The effect of age and emphysematous and fibrotic injury on the re-cellularization of de-cellularized lungs. D.E. Wagner, N.R. Bonenfant, C.S. Parsons, D. Sokocevic, E.M. Brooks, Z.D. Borg, et al. Comparative decellularization and recellularization of normal versus emphysematous human lungs. E. Melo, N. Cardenes, E. Garreta, T. Luque, M. Rojas, D. Navajas, et al. Inhomogeneity of local stiffness in the extracellular matrix scaffold of fibrotic mouse lungs. J.J. Uriarte, P.N. Nonaka, N. Campillo, Y. Mendizabal, E. Sarri, G. Egea, et al. Early impairment of lung mechanics in a murine model of Marfan syndrome. A.P. Price, L.M. Godin, A. Domek, T. Cotter, J. D’Cunha, D.A. Taylor, et al. Automated decellularization of intact human-sized lungs for tissue eng. J.M. Charest, T. Okamoto, K. Kitano, A. Yasuda, S.E. Gilpin, D.J. Mathisen, et al. Design and validation of a clinical-scale bioreactor for long-term isolated lung culture. M.S. Raredon, K.A. Rocco, C.P. Gheorghe, A. Sivarapatna, M. Ghaedi, J.L. Balestrini, et al. A.B. Daly, J.M. Wallis, Z.D. Borg, R.W. Bonvillain, B. Deng, B.A. Ballif, et al. J.J. Mendez, M. Ghaedi, D. Steinbacher, L.E. Niklason. M. Ghaedi, J.J. Mendez, P.F. Bove, A. Sivarapatna, M.S. Raredon, L.E. Niklason. Alveolar epithelial differentiation of human induced pluripotent stem cells in a rotating bioreactor. M. Ghaedi, E.A. Calle, J.J. Mendez, A.L. Gard, J. Balestrini, A. Booth, et al. S.E. Gilpin, X. Ren, T. Okamoto, J.P. Guyette, H. Mou, J. Rajagopal, et al. Enhanced lung epithelial specification of human induced pluripotent stem cells on decellularized lung matrix. X. Ren, P.T. Moser, S.E. Gilpin, T. Okamoto, T. Wu, L.F. Tapias, et al. Engineering pulmonary vasculature in decellularized rat and human lungs. J.E. Nichols, S. La Francesca, S.P. Vega, J.A. Niles, L.B. Argueta, M. Riddle, et al. Giving new life to old lungs: methods to produce and assess whole human paediatric bioengineered lungs. S.E. Gilpin, J.M. Charest, X. Ren, L.F. Tapias, T. Wu, D. Evangelista-Leite, et al. Regenerative potential of human airway stem cells in lung epithelial engineering. H. Zhou, K. Kitano, X. Ren, T.K. Rajab, M. Wu, S.E. Gilpin, et al. Bioengineering human lung grafts on porcine matrix. V. Mironov, T. Trusk, V. Kasyanov, S. Little, R. Swaja, R. Markwald. Biofabrication: a 21st century manufacturing paradigm. J. Hunsberger, J. Neubert, J.A. Wertheim, J. Allickson, A. Atala. Bioengineering priorities on a path to ending organ shortage. V. Ronfard, A.A. Vertès, M.H. May, A. Dupraz, M.E. van Dyke, Y. Bayon. Evaluating the past present, and future of regenerative medicine: a global view. J.P. Pirnay, A. Vanderkelen, D. De Vos, J.P. Draye, T. Rose, C. Ceulemans, et al. Business oriented EU human cell and tissue product legislation will adversely impact Member States’ health care systems. M.E. Scarritt, N.C. Pashos, B.A. Bunnell. A review of cellularization strategies for tissue engineering of whole organs. F. Berthiaume, T.J. Maguire, M.L. Yarmush. Tissue engineering and regenerative medicine: history, progress, and challenges.